When we were planning our trip to Osaka, I tried not to go overboard with the itinerary the way I did it for our 2010 Tokyo-Kyoto trip. (When I jammed so many things to do in a span of a single day without taking into account the fact that we were going to be in a new city where we don’t speak the language or know our way around its public transport system. Brilliant.) We had three whole days to spend in Osaka after arriving late in the evening (the rest of the trip was spent in Kyoto and Nara) and thankfully managed to see some sights, gorge on the local food, and not get blinded by the wild neon lights. 1. Eat! If there’s one thing the folks from Osaka are supposed to be good at it’s food. The country’s third largest city was known during the Edo period as “Japan’s kitchen” and it seems they’re still living up to it in some way as they keep serving great food. And some of them won’t break the bank, too. 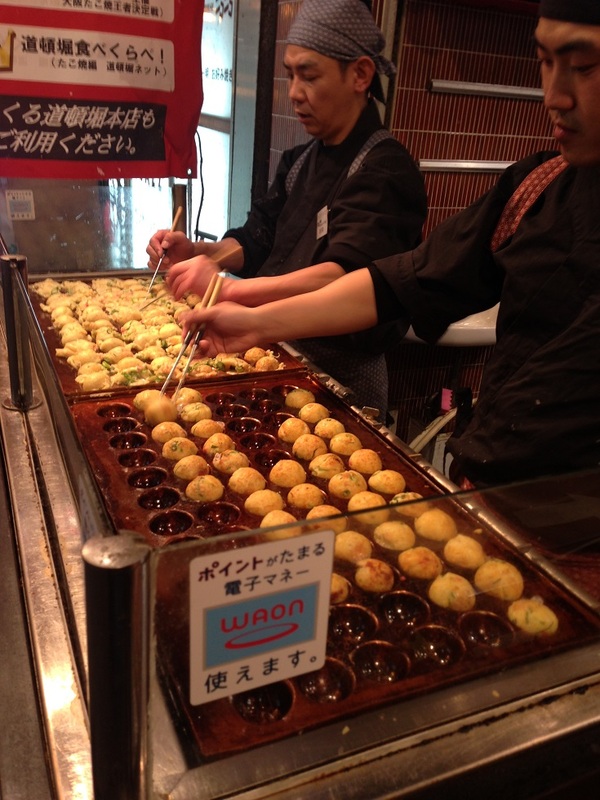 Have takoyaki while you’re walking around (there are lots of places to get it–from train stations to Dotonbori), teppanyaki for a proper dinner, and drinks with okonomiyaki (Mizuno in Dotonbori gets a pretty long queue), or kushiage (Kushikatsu Daruma has several restos in Dotonbori and Kita-ku). 2. Visit the castle and the grove. 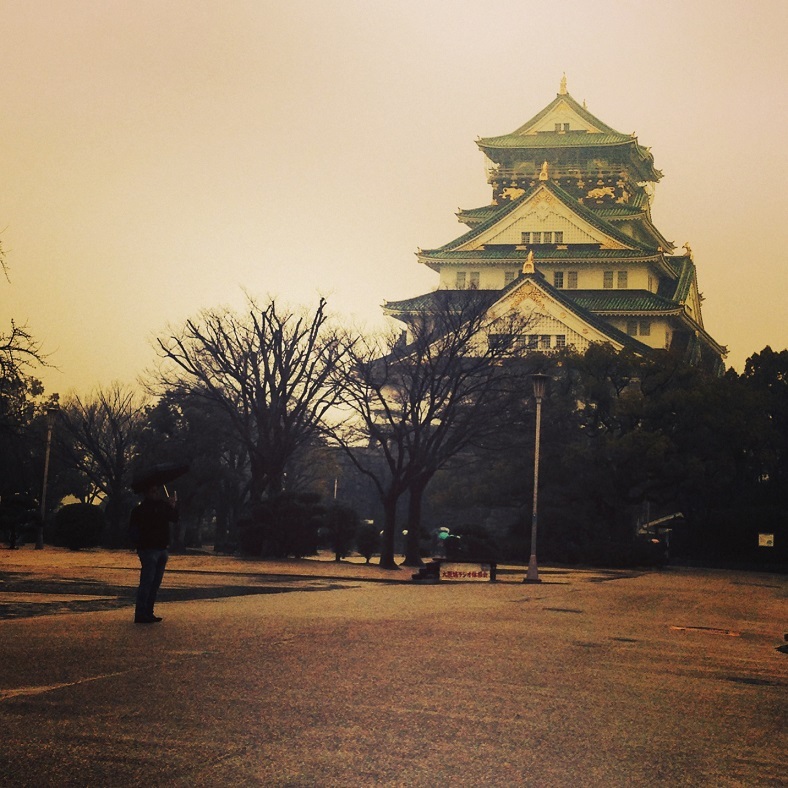 Osaka Castle is probably the city’s most recognizable landmark. It’s been destroyed and rebuilt through time, so the one standing there now where all of us tourists get our pictures taken is not a faithful replica (entrance fee, JPY600). If you don’t find that impressive, the grounds around the castle still make it worth the visit, particularly during spring when the Plum Grove turns into this dreamy cloud of pink blooms lining several paths or when the Nishinomaru Garden overlooking the castle is covered by a cloud of pink cherry blossoms from its 600 trees. With Osaka as our base all throughout our trip to Japan last March, we spent an ample amount of time in trains and train stations, going to Kyoto, and around Kyoto and Nara. 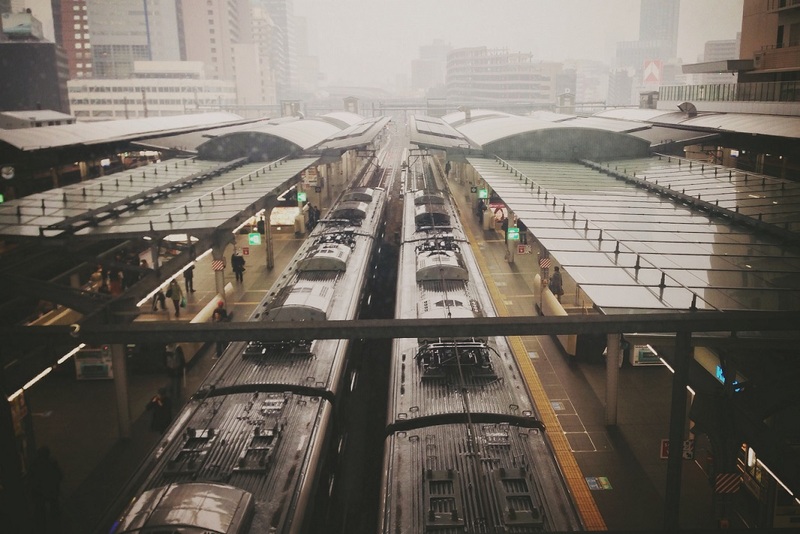 Aside from the Japanese railways’ efficiency, these are some of the things that made my train-loving heart geek out: some cool-looking trains, delicious station eats, and abundant opportunities to people watch. Osaka Loop Line. In Tokyo, there’s the Yamanote Line. Osaka also has its own loop line, which has stops in major stations Umeda/Osaka and Tennoji. The line also stops in Osakajokoen, which is the closest JR station to Osaka Castle; and Bentencho, which is two stops away from Osakako (Osaka Aquarium) on the Chuo line. So there we were with our one large luggage, between platforms 4 and 5, wondering whether we should jump in the train at platform 5 when the JR person informed us a few minutes earlier that the Kansai Rapid Service was going to be in platform 4. My husband pointed out that the train had Rapid Service blinking across it. Being it our first time to land in KIX and to ride the Kansai Rapid Service, we were not sure if it was the one going straight to JR Osaka Station in Kita-ku or if there were other types of rapid services. It was on a different platform. What if it was the right train? The next train would be another thirty minutes and it was already getting late. We jumped inside with only a few seconds to spare before the door closed. As we pulled out of the airport station, I was still not sure if it was the right train until the monitor showed station names that I could see in the Osaka Railway and Subway map I got from one of the airport information counters. I could now stop gripping my husband’s hand. If you’re heading to Osaka, Kyoto, Nara, Kobe and other parts of the Kansai region from outside Japan, then you’ll most likely be flying into the Kansai International Airport (KIX). From KIX, you have several ways to get to your destination. Open lid. Pour powder from the packet into cup. Pour hot water. Close lid. Wait for three minutes. Open lid again and have a quick and hot filling cup of instant ramen. This was how I was introduced to ramen. Since our comforting noodle soups here in the Philippines are of the batchoy and mami varieties (both must-tries if ever you find yourself in the Philippines), my first slurp of the Japanese noodle soup was from a styro Nissin Cup. I didn’t love it but I thought it was genius. No cooking involved! It’s like being 16 and letting that boy you sort of like hold your hand just because you think holding hands is the best thing ever. (That’s acceptable behavior, right?) And then you get to taste the real thing. Authentic ramen from its motherland, fresh noodles, broth that has been deliciously boiling for hours, mouthwatering slices of chashu, the seductive aji tamago… And you fall in love. 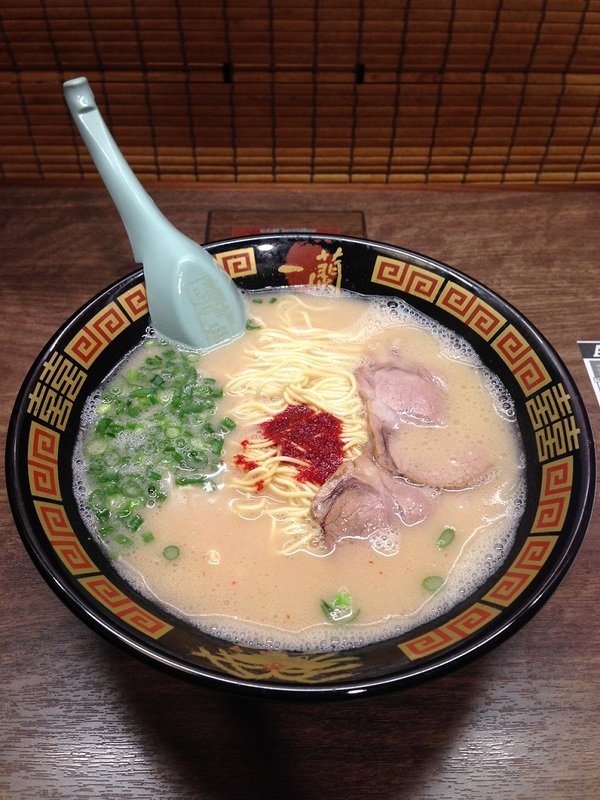 On the trip to Japan last March, we made the pilgrimage to Momofuku Ando Instant Ramen Museum. 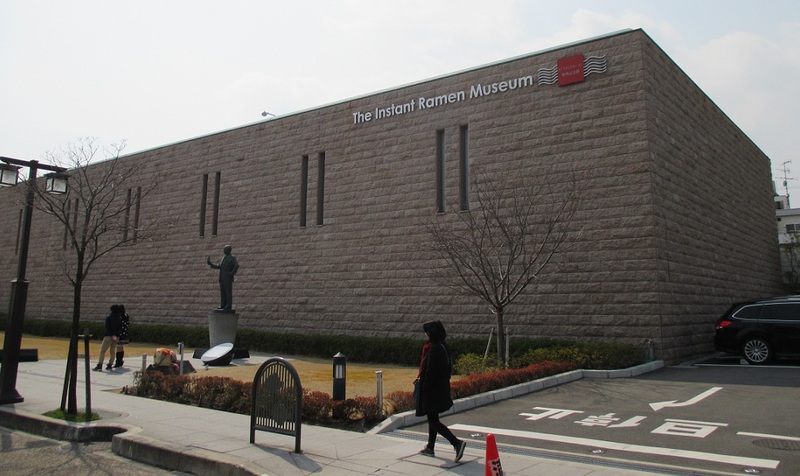 As the name suggests, it’s a museum dedicated to instant noodles and cup noodles and to its creator Momofuku Ando. For all my current indifference to instant ramen, I have to admit, it has provided many bellies (mine included) sustenance in a fast and cheap way. We had to pay our respects! Also, my husband likes the stuff to this day. Whenever I travel, one of the things I’m eager to see is the neighborhood where I will be staying. In Saigon, it was at the heart of the backpacker’s district where noisy, touristy bars and hole-in-the-wall cafes and eateries lined the street. In Hong Kong, it was along Nathan Road where all you needed was to roll off the bed and you’d find yourself shopping. In this recent trip to Japan, we decided to stay in the Kita district. Also known as Umeda, this northern part of Osaka seemed relatively not as popular as the Minami area. With flashy Dotonbori in Minami luring droves of travelers especially in the evening, Umeda, the guides write, is more of a daytime destination with a few good department stores, countless restaurants, and the Umeda Sky Building one of its few attractions.